Flight to Los Angeles. Free time in oceanfront Manhattan Beach. Arrive at the Ayres Hotel, Manhattan Beach, 2 nights. Welcome dinner at hotel. Breakfast. Your guided tour will showcase the city’s downtown, Staples Center, oldest street in L.A. - Olvera Street, Graumann’s Chinese Theater, Hollywood Walk of Fame, famous Hollywood sign, Sunset Strip, La Brea Tar Pits, Disney Concert Hall, Our Lady of the Angels Cathedral and time for dining & shopping at the Farmer’s Market. Dinner at Il Fornaio. Breakfast. Guided tour of Paramount Studios. Free time for lunch and shopping at Santa Monica Pier where Route 66 ends. 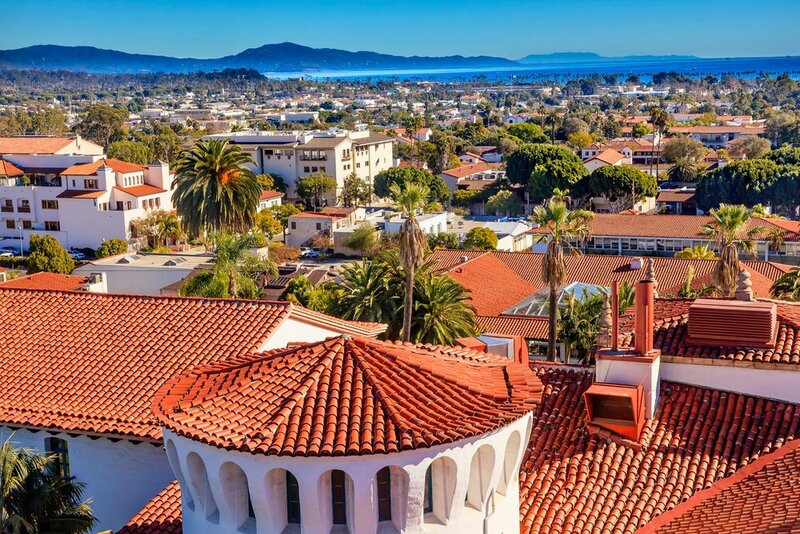 Scenic coastline drive through Malibu to Santa Barbara known as “America’s Riviera.” This lovely coastal city is known for its beautiful red-tiled roof Spanish Mission style architechture. Arrive at the Hilton Santa Barbara Beachfront Resort on the ocean for 2 nights. Dinner at the Harbor Restaurant. Breakfast. Experience a guided tour of Santa Barbara aboard Land Shark Amphibious tour. Visit the Old Santa Barbara Mission (1786) and La Huerta Historic Gardens. Free afternoon & evening to stroll the oceanfront, enjoy downtown Santa Barbara, Farmer’s Market and relax at the resort. Breakfast. Tour Flag is Up Farms California Horse Ranch, internationally renowned for its successful performance horses, Monty Roberts (the Horse Whisperer) Learning Center, & equine celebrity Shy Boy. Free time in the fairy-tale like Danish town of Solvang. Enjoy a wine tasting at a local California winery. Arrive at the charming Apple Farm Inn, San Luis Obispo, 2 nights. Enjoy the Great American Melodrama. Dinner at the inn. Breakfast. View the stunning Morro Rock in the Pacific Ocean. Guided tour of the majestic Hearst Castle atop the coastal mountains overlooking the Pacific at San Simeon. Dinner at the fanciful Madonna Inn. Breakfast. Scenic ocean drive along Highway 1 through Big Sur where the mountains meet the sea. Free time for lunch & shopping at Cannery Row in Monterey. Visit the Monterey Aquarium. Marvel at coastal views along the scenic 17 Mile Drive at Pebble Beach. 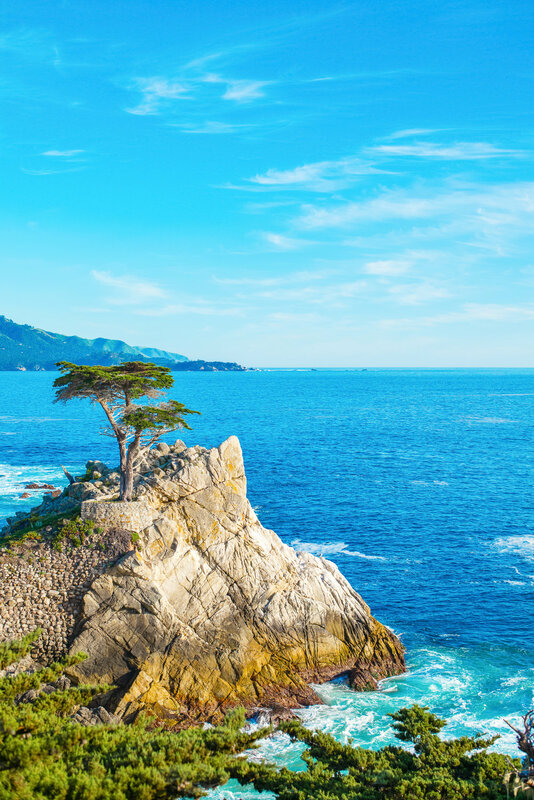 See the iconic Lone Cypress. Arrive at the Marriott Union Square located in the heart of downtown San Francisco for a 2 night stay. Breakfast. Guided tour of San Francisco featuring downtown, Chinatown, Fisherman’s Wharf, Nob Hill, Golden Gate Bridge, Lombard Street, & more. Blue & Gold Fleet Cruise of San Francisco Bay. Dinner at McCormick & Kuleto’s. $1500.00 deposit per person due with reservation. Final payment date due 1/15/20. Cancellations prior to 1/15/20 will receive a full refund less a $75.00 cancellation fee. Cancellations after 1/15/20 with insurance purchased, refunds will be processed through Travel Guard Insurance. Cancellations after 1/15/20 without insurance purchased, there is no refund.